I get these quinoa bowls from a place near my office at least once a week. My favorite is the Mediterranean bowl, so when I got some eggplant, peppers, and tomatoes this week I decided to make it at home! It was perfect for a summer night, very fresh, light and easy to make! Start by making the quinoa. 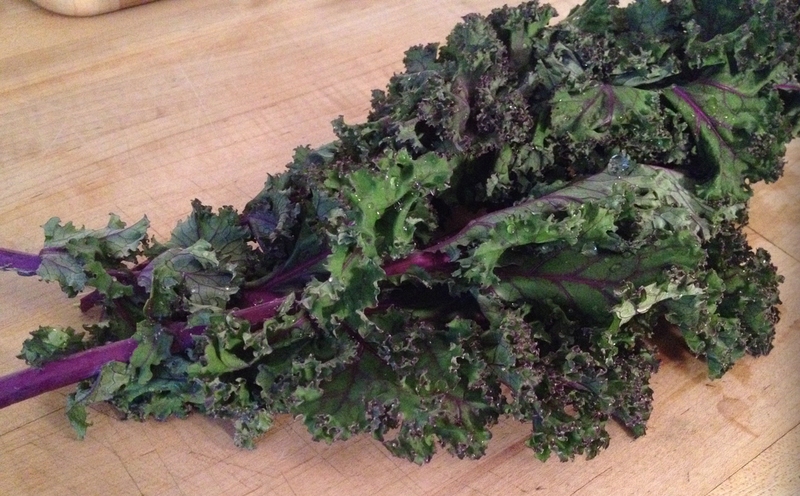 While it is cooking, add in the chopped kale and lemon zest. Next make the vinegar mixture for the green beans and tomato- mix the red wine vinegar, olive oil, lemon juice, and a small pinch of salt and pepper. Blanch the green beans for a minute or two, then add them to the vinegar with the fresh tomatoes and let soak until ready to plate. In a separate pan, add some olive oil and cook the onion and garlic until softened, then add the eggplant, green pepper, garlic scapes, nuts, and a little salt and pepper. 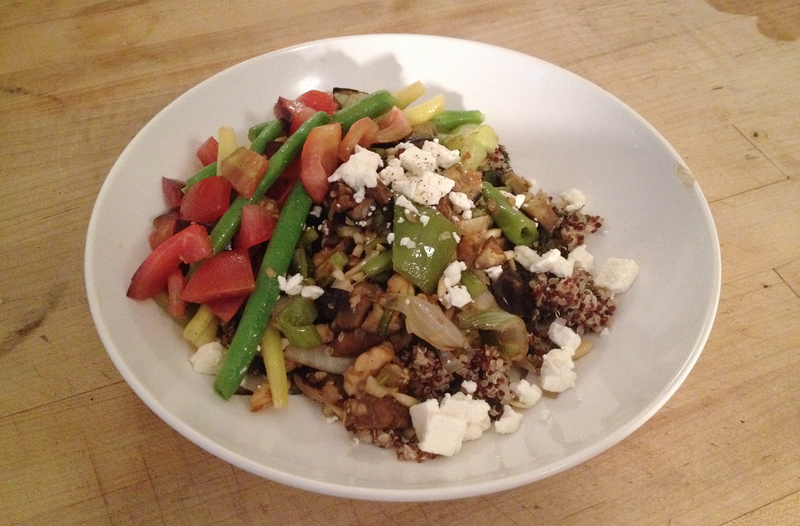 Plate some of the quinoa, then top with the eggplant mixture, green beans, and tomatoes. Finish with some feta cheese and a little drizzle of the vinegar.